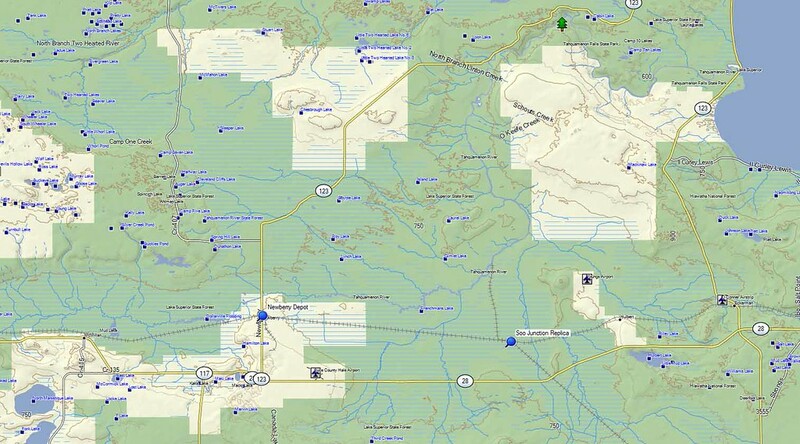 Discussion in 'Central – From Da Nort Woods to the Plane States' started by Cannonshot, Dec 17, 2015. 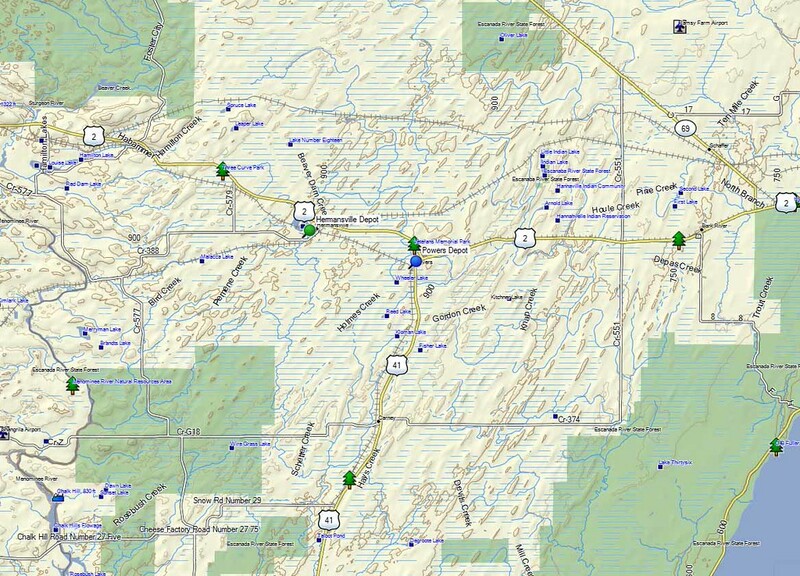 It was fun chasing railroad structures in WI, so I thought it might be fun to expand the concept to the UP of MI. 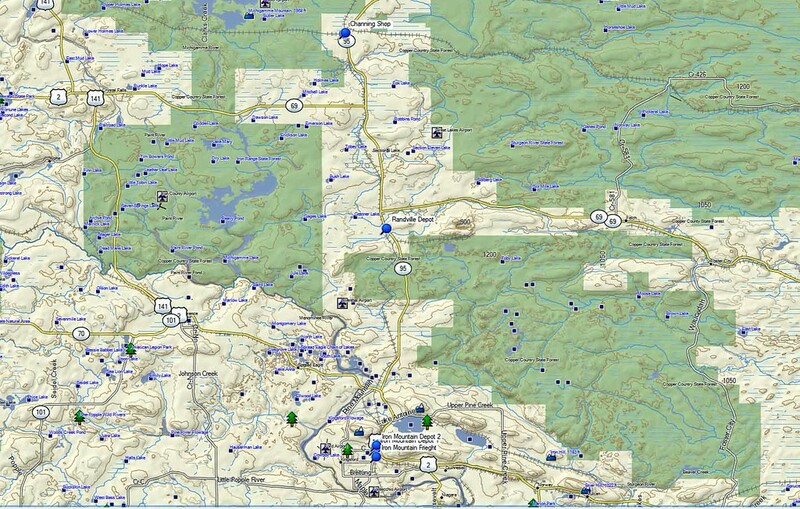 The idea here is to use the GPX to locate some old or significant railroad structures, photograph them, and then post the photos in the thread. Sometimes there are interesting stories to share about the structures being photographed. There may also be an opportunity to share a historical photo from the past along with a current photo of the structure. 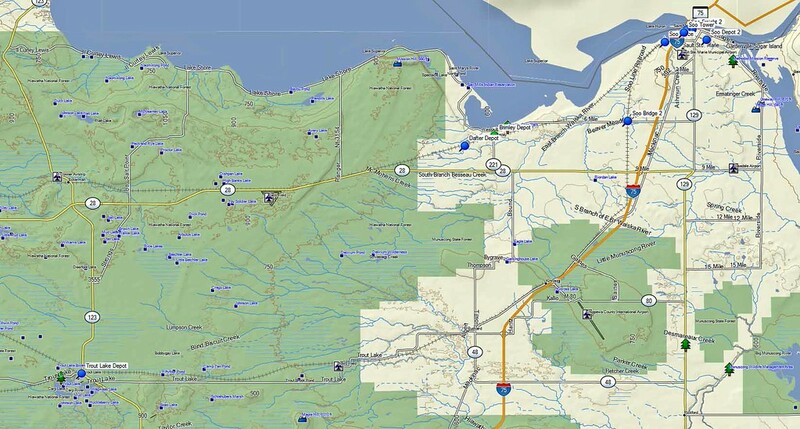 This makes for a great opportunity to put together an informal loop ride on your motorcycle to take in some of the countryside. 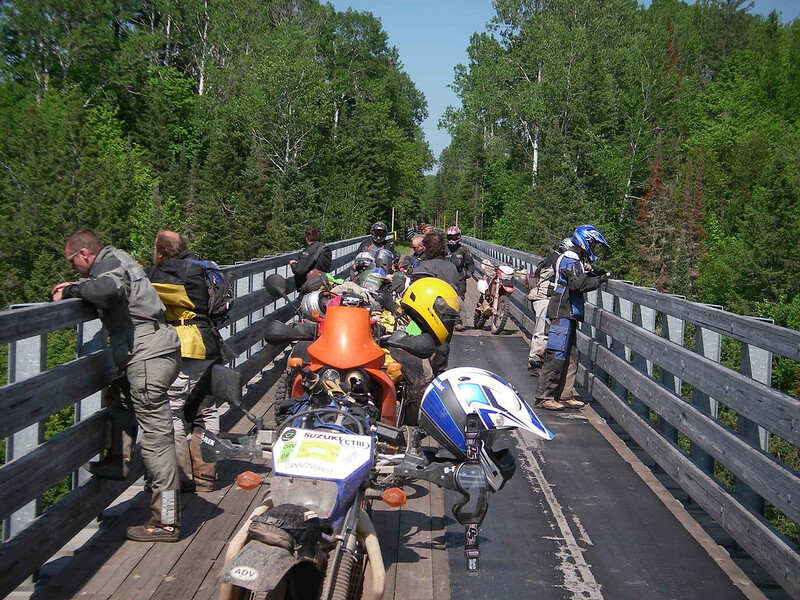 Photos don't have to be fancy, can be repeated by other riders, and are probably best without a bike in the picture. 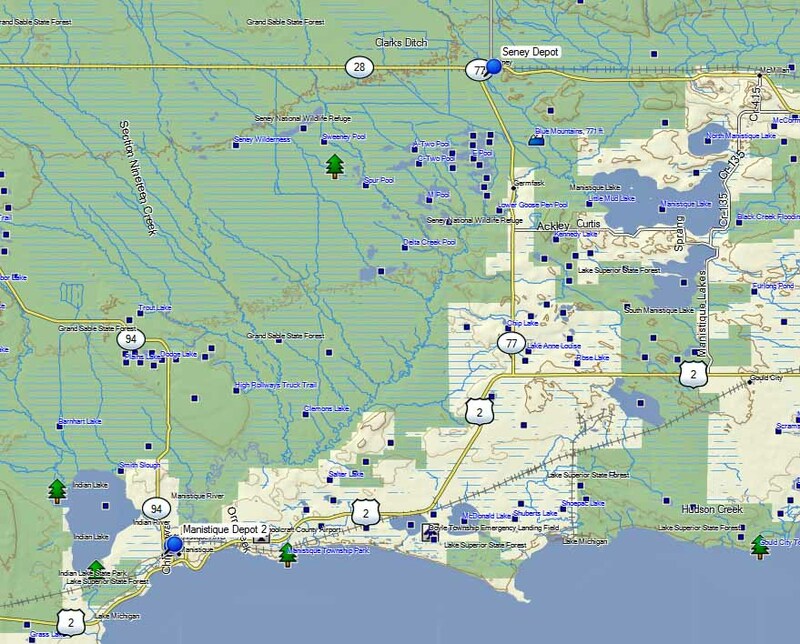 I listed the locations with local maps sorted by county. 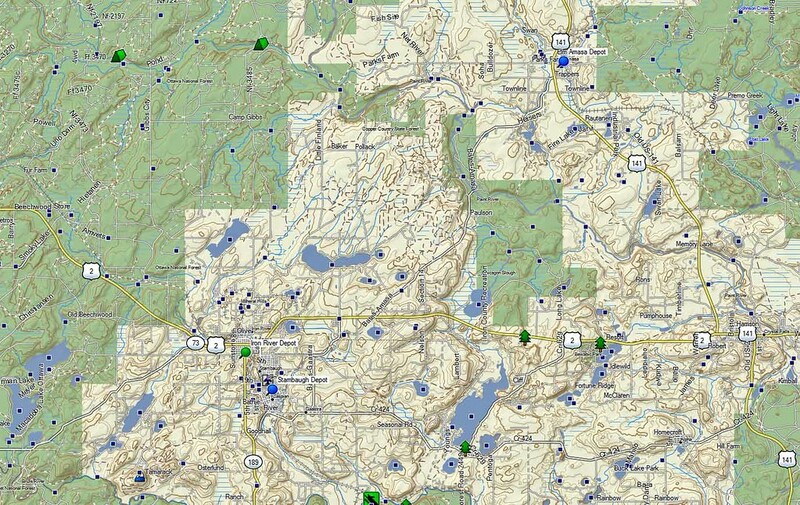 The GPX has all the locations in the file, although some need to be refined. 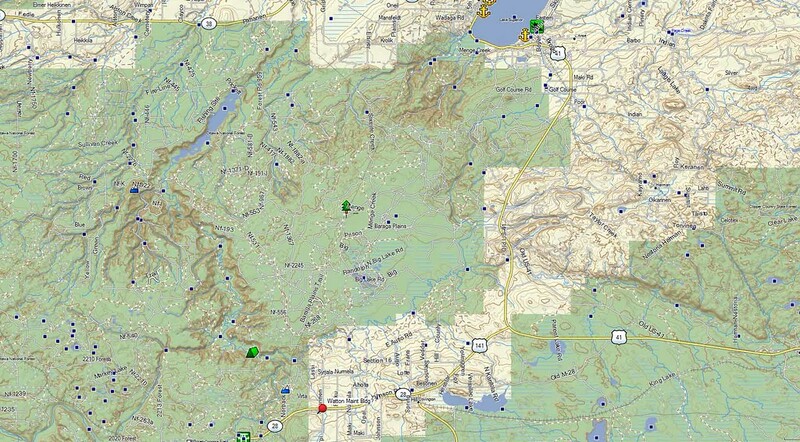 If you get a more precise location for a structure, let me know and I'll update the GPX. 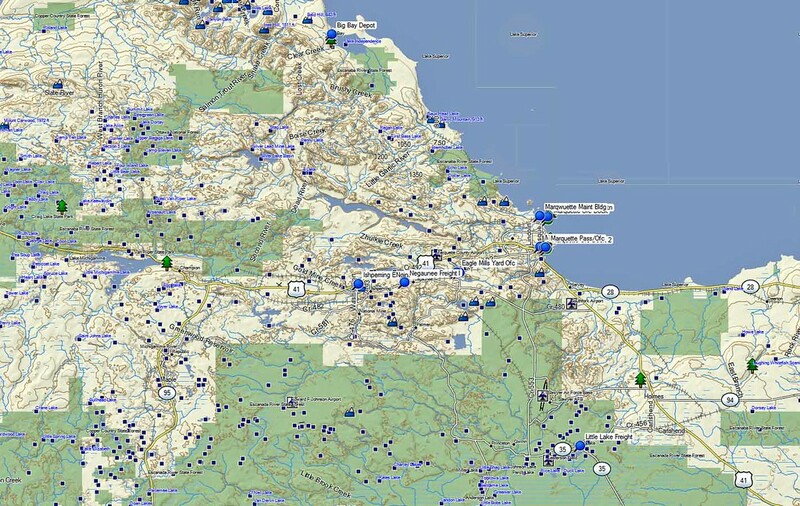 Previously downloaded from a prior private site 1042 times. 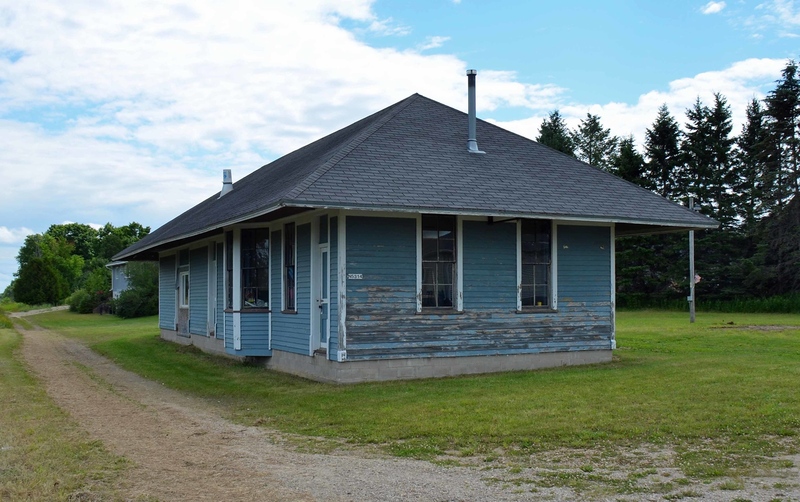 Ishpeming Depot (pointed roof, now a business, near power pylon) Gone? 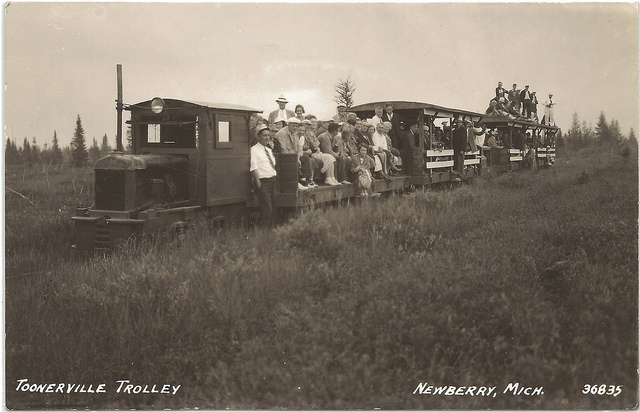 They used to run a streetcar along that string of mining towns on the Keweenaw. Two cars would stop twice an hour. The first bridge connecting these two towns was constructed in 1875 and rebuilt and repaired a few times since then. 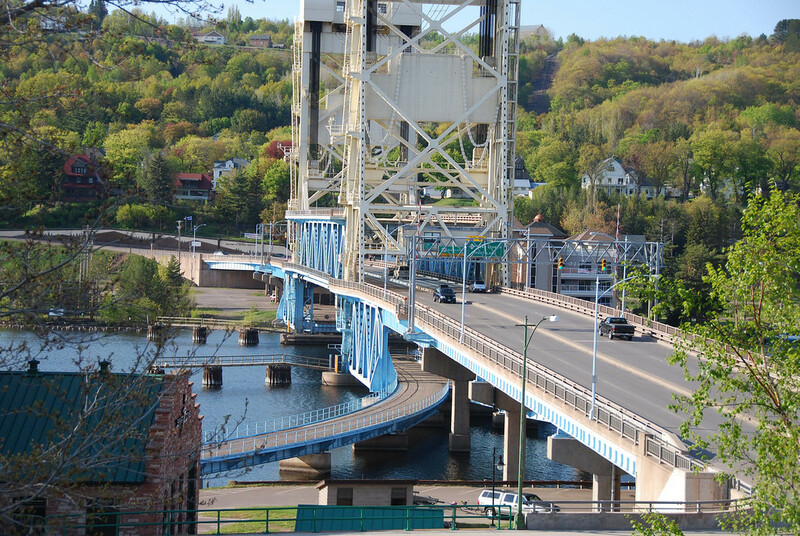 The present Portage Lake Lift Bridge was built in 1959. This is the heaviest aerial lift bridge in the world. On the day before this bridge was dedicated, a ship came through and almost hit it. The ship signalled for the bridge to open. When it didn't, the ship tried to stop but couldn't. The shipped dropped anchors and tore up some underwater telephone cables but managed to stop before hitting the bridge. The bridge has two decks. Originally, the lower deck was for railroad trains while autos passed above. Trains no longer cross out onto the peninsula. In summer, they keep the lower deck raised to the auto crossing level. 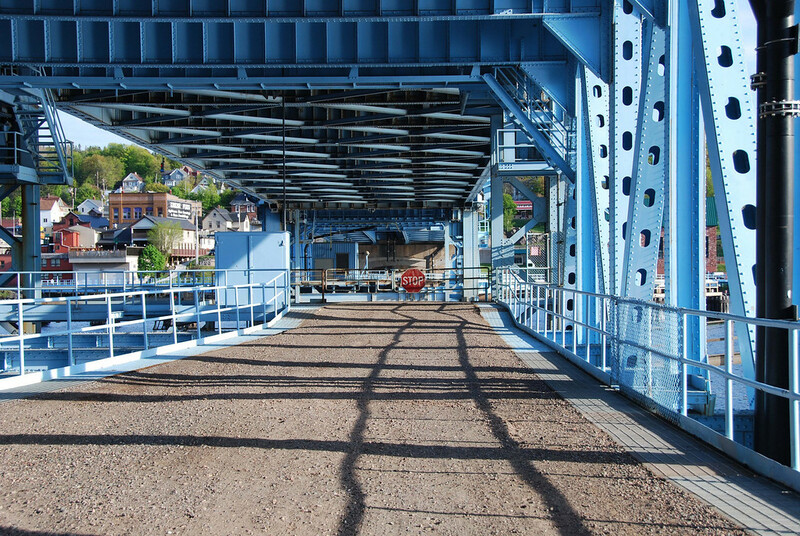 This allows many boats to go under the bridge without having to raise it. 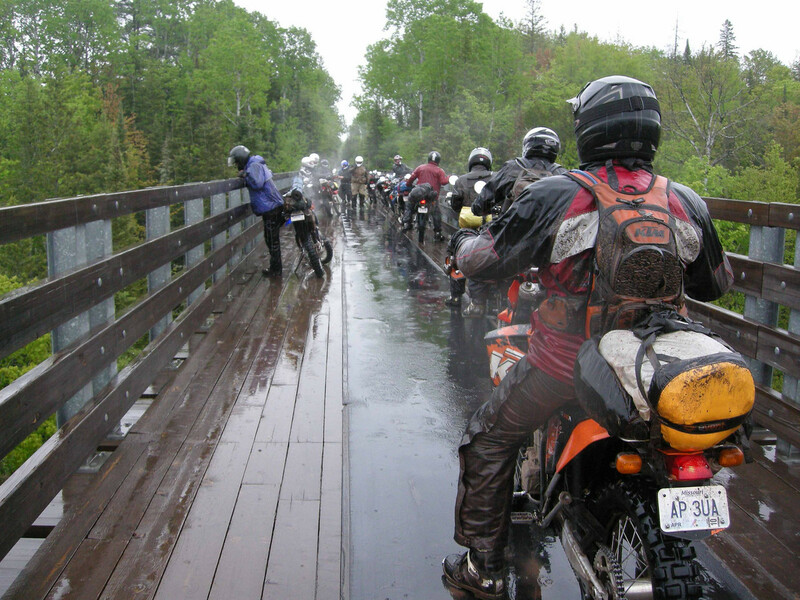 In the winter when there is no boat taffic, they lower the bottom deck so that snowmobiles can cross beneath the auto traffic. 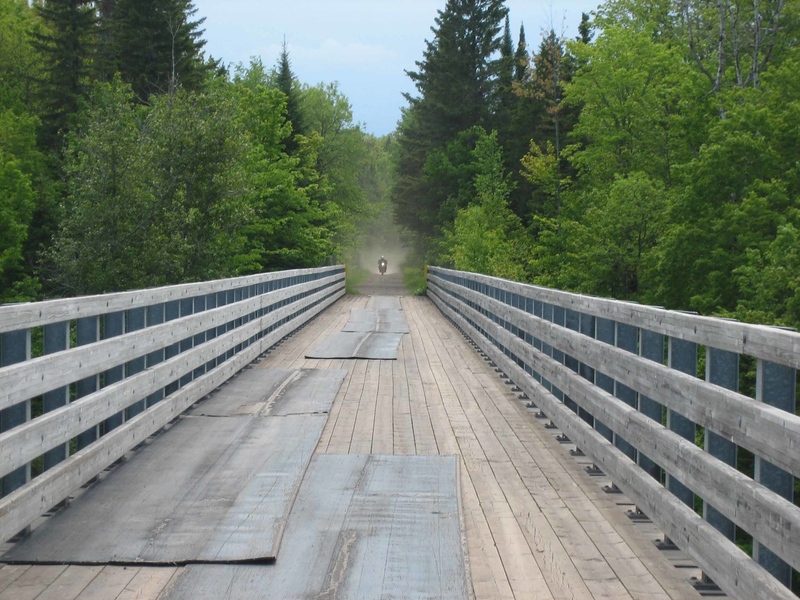 There are three high trestles close together along an old mining railroad grade. 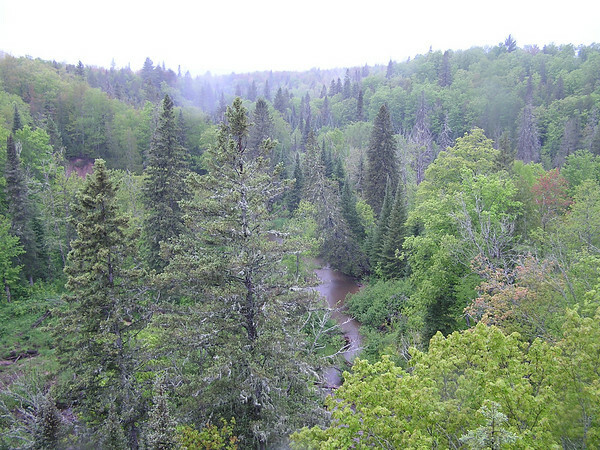 They cross three branches of the Firesteel River. 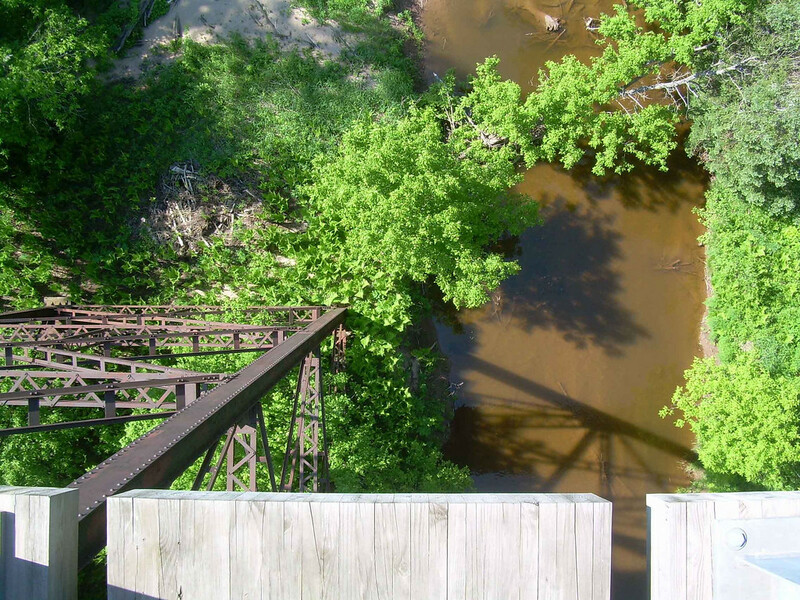 Three trestles spanning three branches of the Firesteel River. Each is a over 500' long. Great thread, Cannonshot. Really looking forward to reading more as it develops. 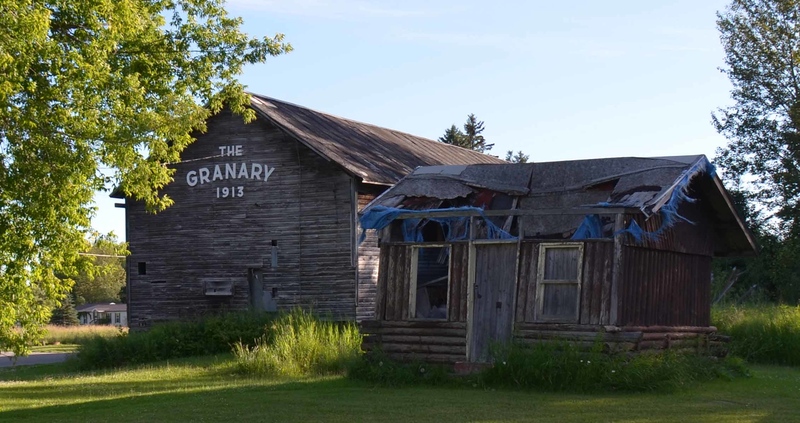 Chatham started up in 1896 as a lumber camp. 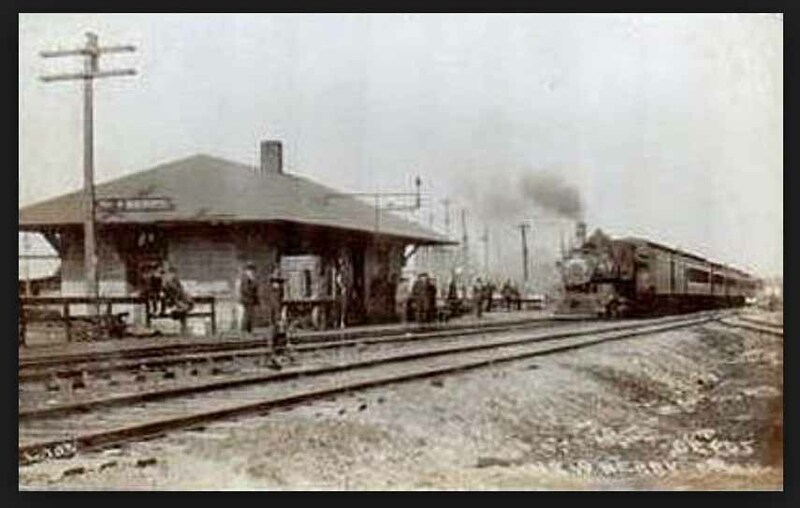 The railroad showed in 1899 and the lumber camp was already gone by then. 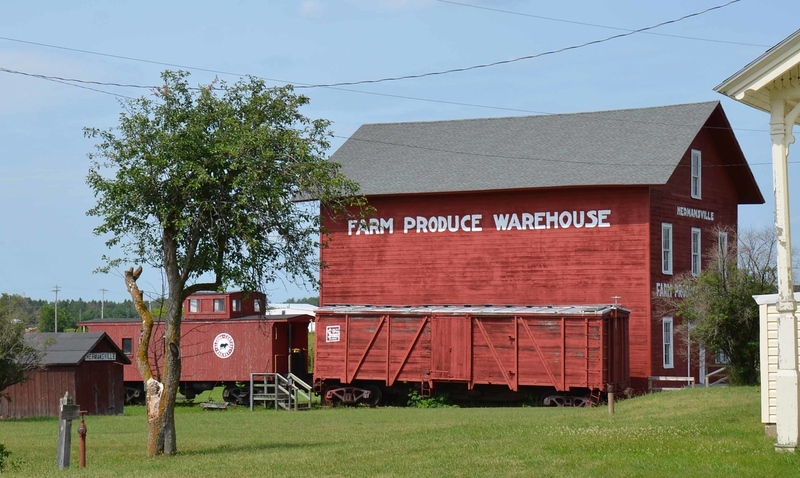 The area became a big agricultural community. 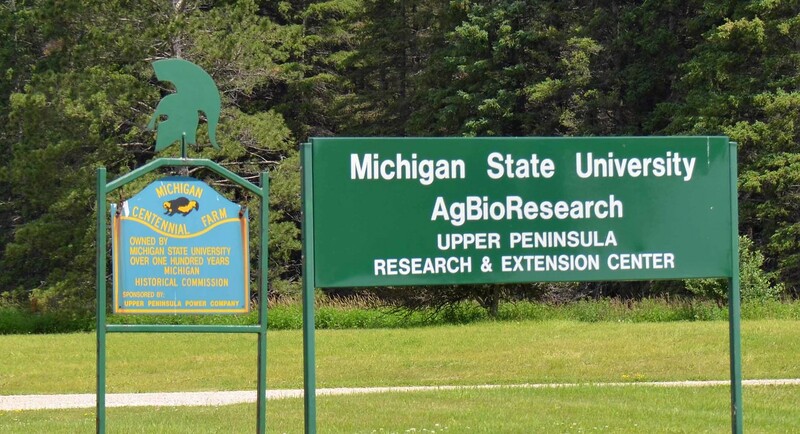 The same year the railroad showed up, the state established an agriculture experimentation station here (now run by the U of M). The UP 200 dogsled race comes through here. A fire took out most of the town in 1925. 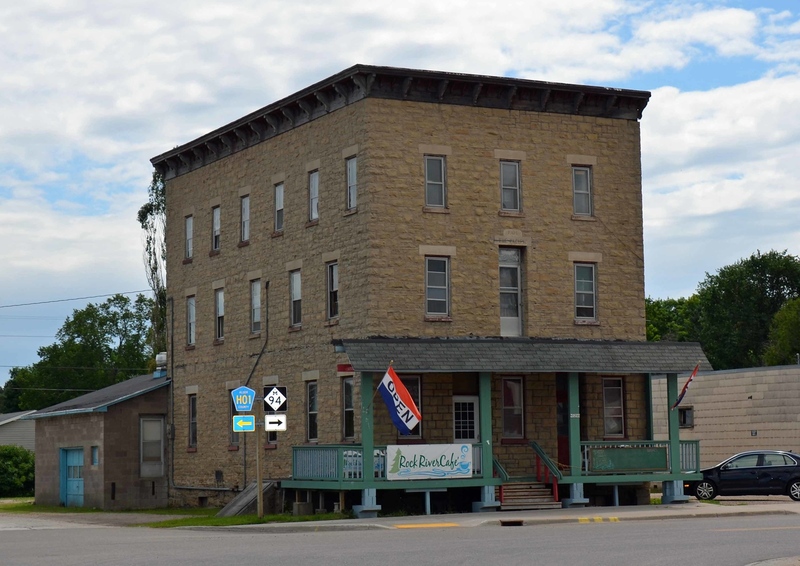 The hotel across from the present depot was one of the few buildings to survive that. The footings for the old dock are visible nearby. 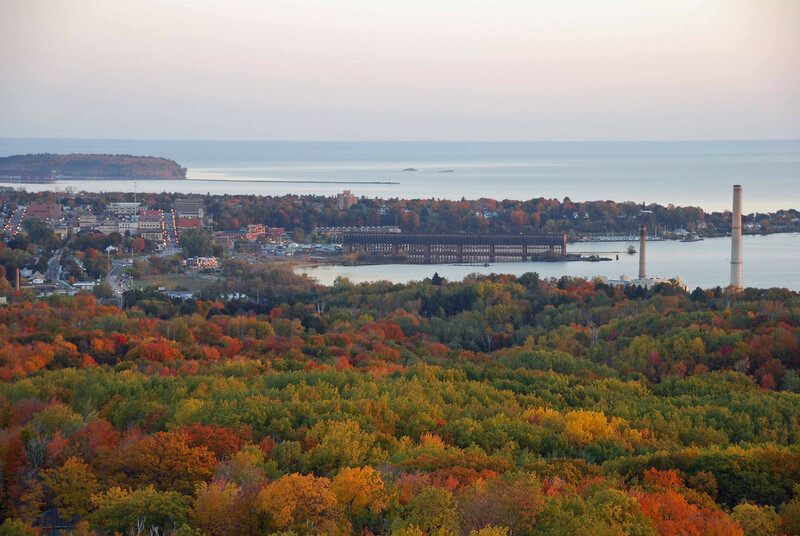 MARQUETTE, Mich., Sept. 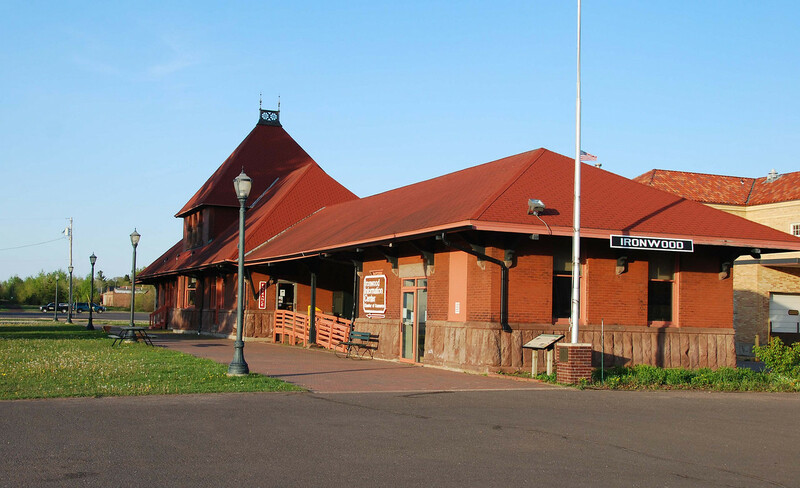 20.--A Duluth, South Shore & Atlantic train of sixty-five cars laden with ore got away from the trainmen last night and ran down the grade at a high rate for four miles. At the scale track just west of the city the cars crashed into a side-track full of empty ore flats. Fifty cars are piled thirty feet high. Billy Mahone, the conductor, is missing, and there is no doubt but he is under the wreck. There used to be train tracks that ran out to the top of this thing. 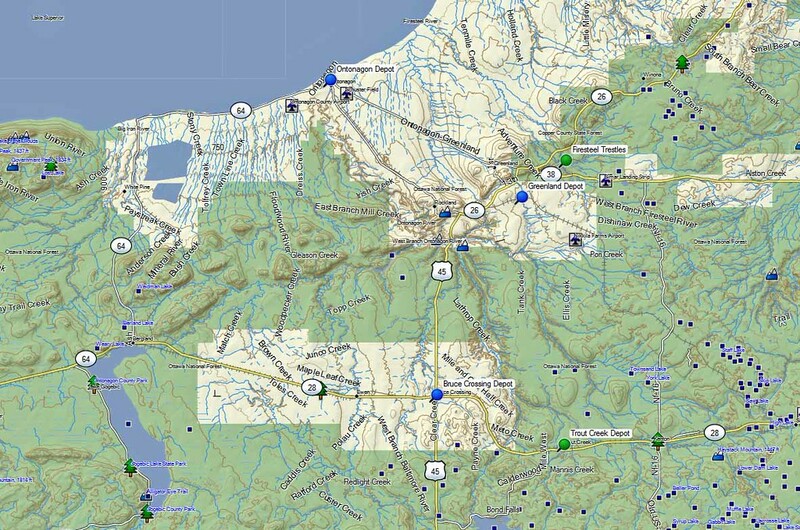 The trains would dump taconite into bins near the top. 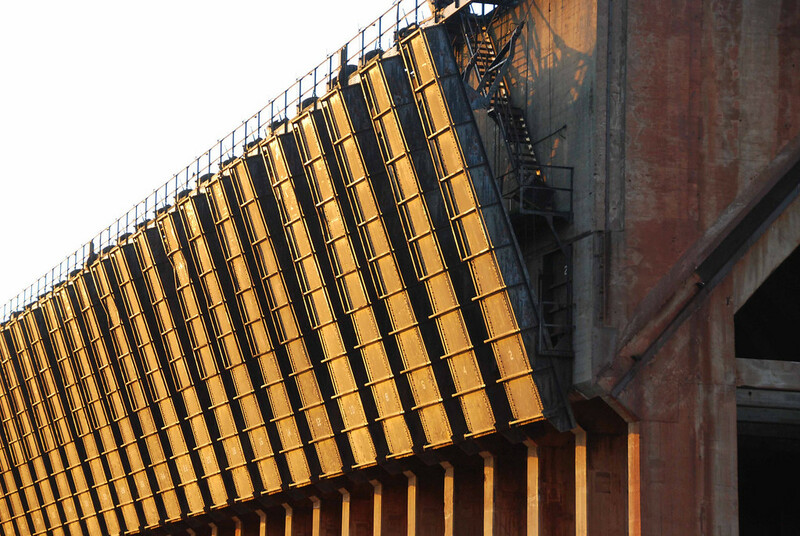 Ships would pull along side the dock and chutes would be lowered to empty taconite into the ships' holds. Minor shifting of the ship forward and backward would enable taconite to be loaded in a manner to achieve the right front-rear angle on the ship. 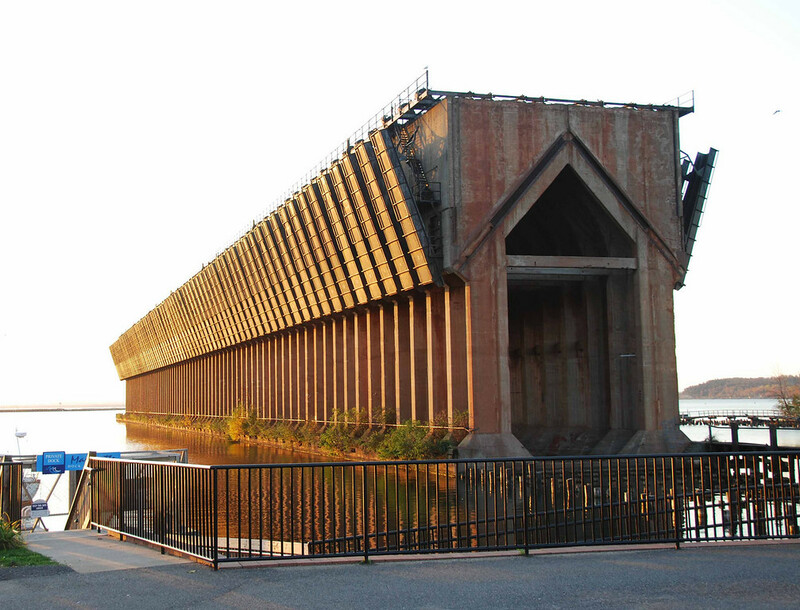 In the 1960s a Canadian ore ship tried to take on a load of taconite in Marquette, MI. The dock workers refused to load the ship. The issue was that the Canadian government subsidized some of the costs of building these ships and that the Canadian crews worked for less money. This allowed the Canadian companies to undercut US shipping rates on the Great Lakes. 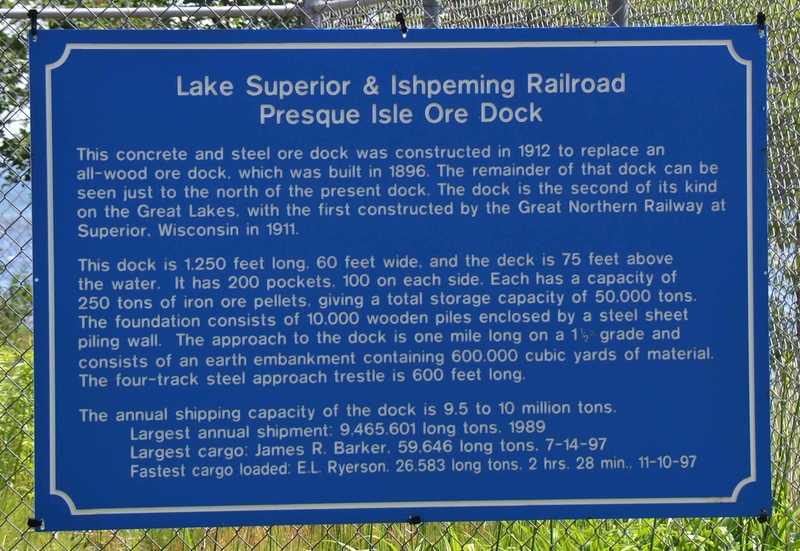 The US workers dynamited the train tracks that led from the mines to the ore docks in two places so that there would not be enough ore on the dock to load the Canadian ship. 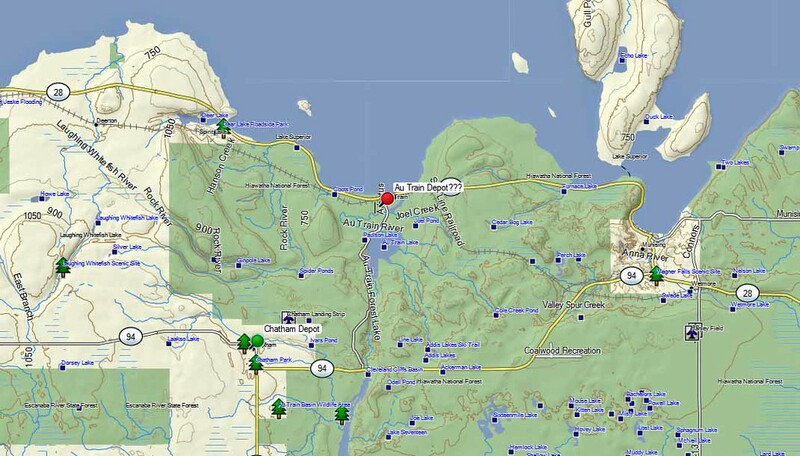 The Canadian ship never was able to dock and ended up drifting just outside the Marquette harbor for a while. It was reported that the ship was fired on by workers in the woods with deer rifles while it drifted there. Moved from near the dock to US 2 W of town. From the Cheboygan Democrat, May 18, 1882: We learn that considerable trouble is experienced by the D.M.&M. 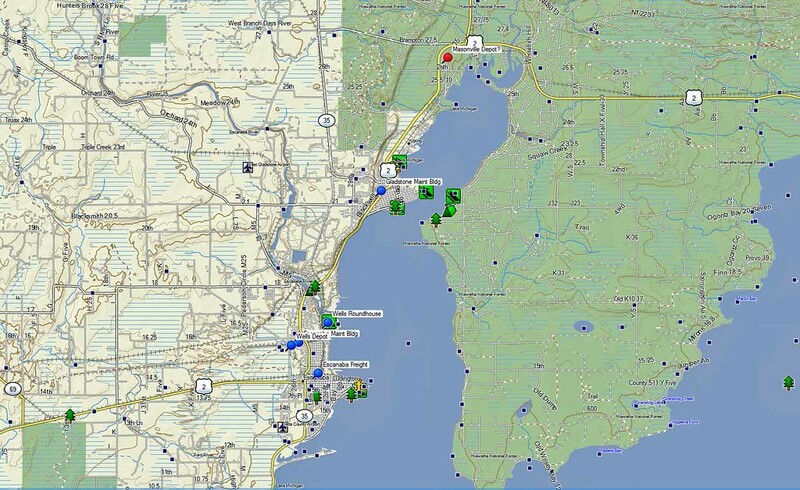 (Detroit, Mackinac & Marquette) people in getting their ore cars back from St. Ignace owing to their tendency to fly the track when empty. The cars are new, and the springs being stiff as yet, they do not yield readily to accommodate themselves to the sinuosities of the track; hence leave the rails on very slight profocation. With time and use this fault will disappear, of course, but in the mean time it is a great annoyance to the train men. Lately, the plan has been adopted of loading them with gravel at St. Ignance, which is brought back as "ballast" on the cars, and used afterwards to ballast the road. This plan entails some labor, but as there is considerable gravel needed along the line the time required to load the cars with it at St. Ignance is not wolly lost. From the Marquette Journal, reprinted in the Cheboygan Democrat. 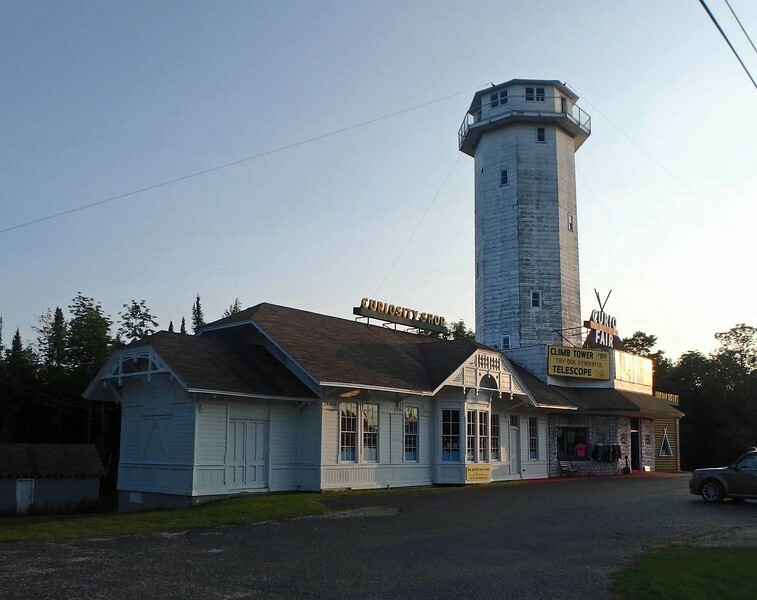 The oldest DSS&A St. Ignace depot was moved from mear the railroad car ferry dock area to the south side of US-2 approximately 2 miles west of the I-75 expressway and is now a business. It was moved around 1960. The DSS&A depot which is now along the waterfront was their depot from Moran. 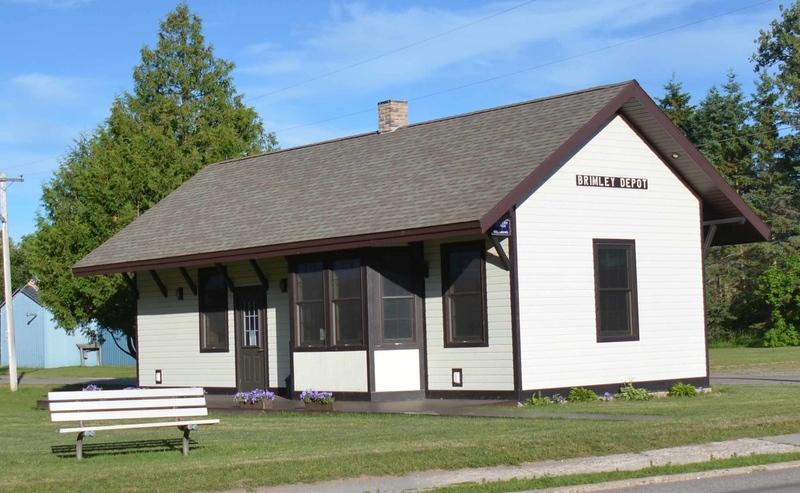 When the South Shore closed the Moran station in the mid-1950's they moved the depot to St. Ignace as it was a much bigger and better depot. 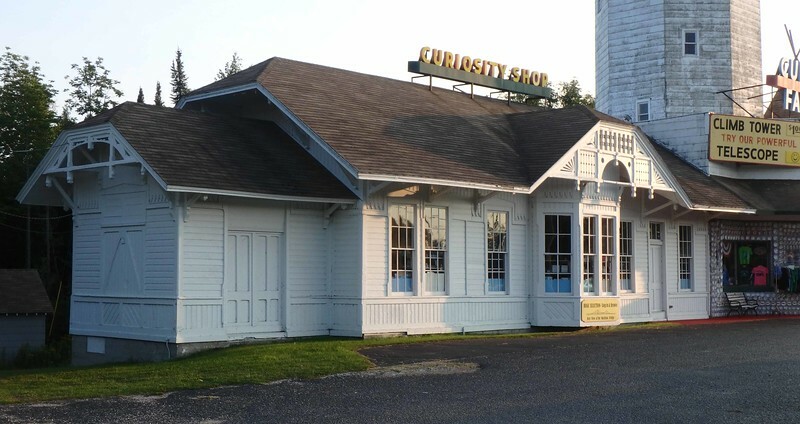 It is now a restaurant. 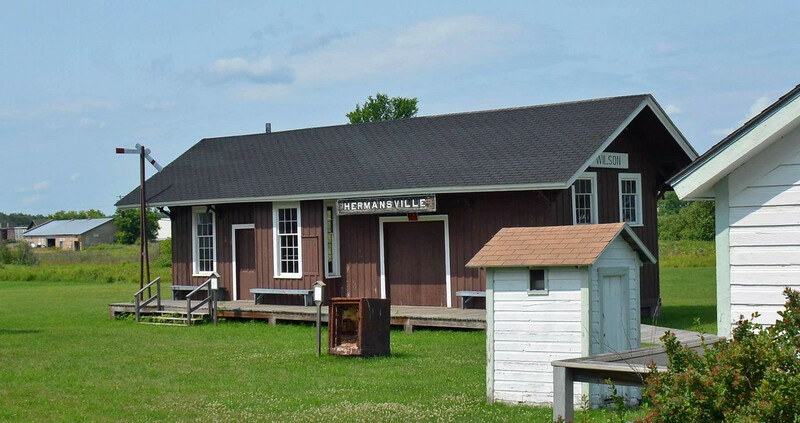 The Wilson Depot is in the museum at Hermansville. The railroad came through in 1872-73. To serve charcoal kilns they built a depot. 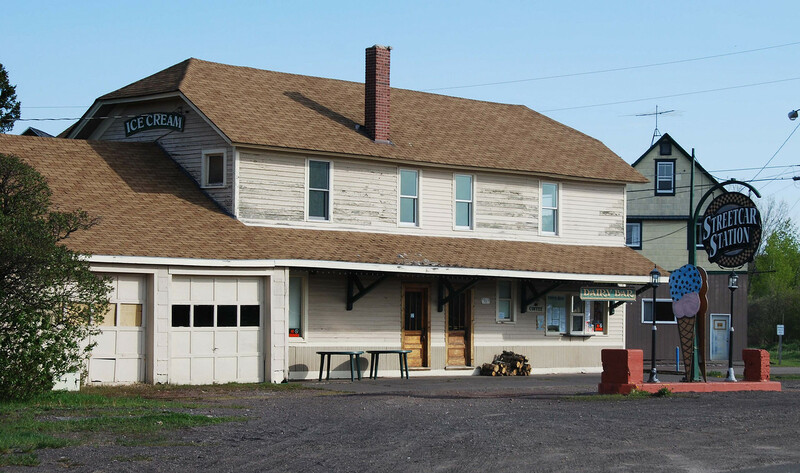 A few name changes for the location eventually landing on a sawmill owner named Wilson. 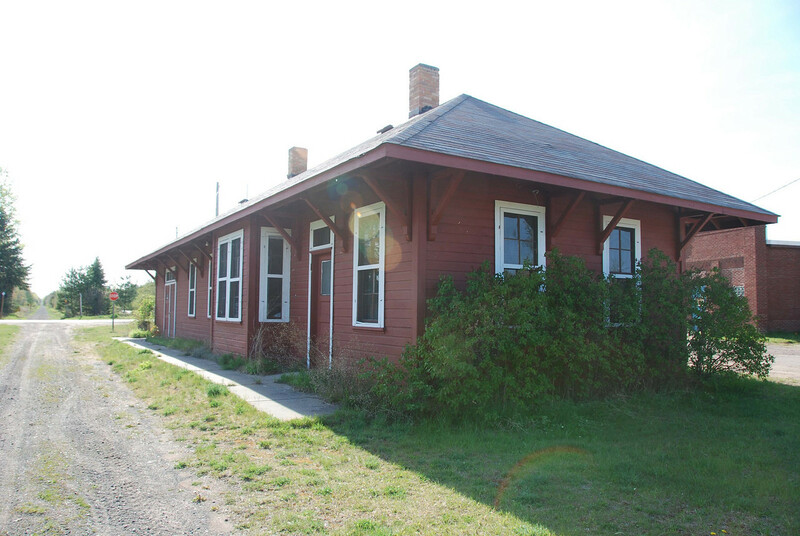 The depot operated until 1950. Eventually it was moved to the museum here. Looks like a maintenance shack from Hermansville. 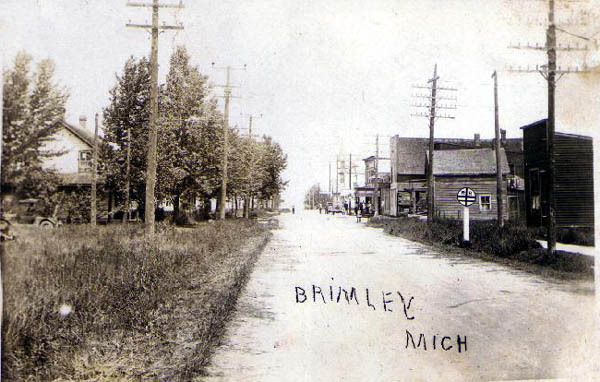 Trains rolled through Brimley from 1887 until 1961. 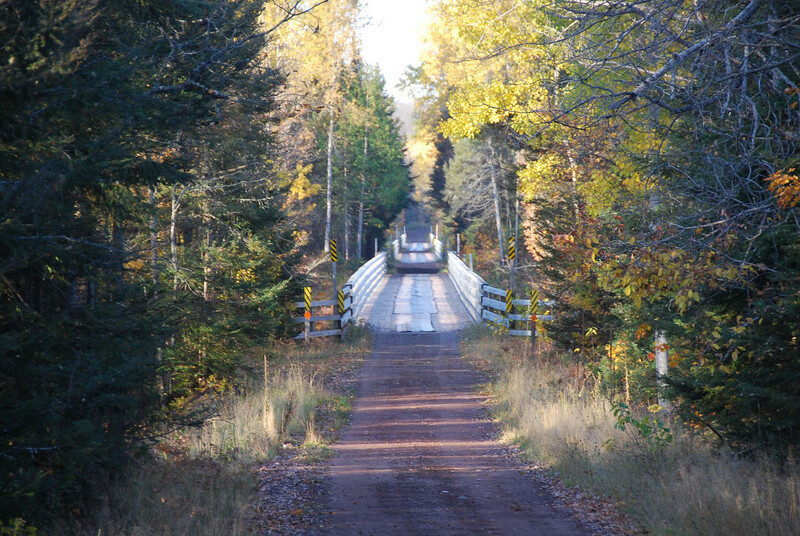 A railroad trestle across Waishka Bay connected Brimley with the now nonexistent mill town of Bay Mills with daily passenger train service between Sault Ste. Marie and Bay Mills. Trains brought logs to Mills in Bay Mills and carried away lumber. 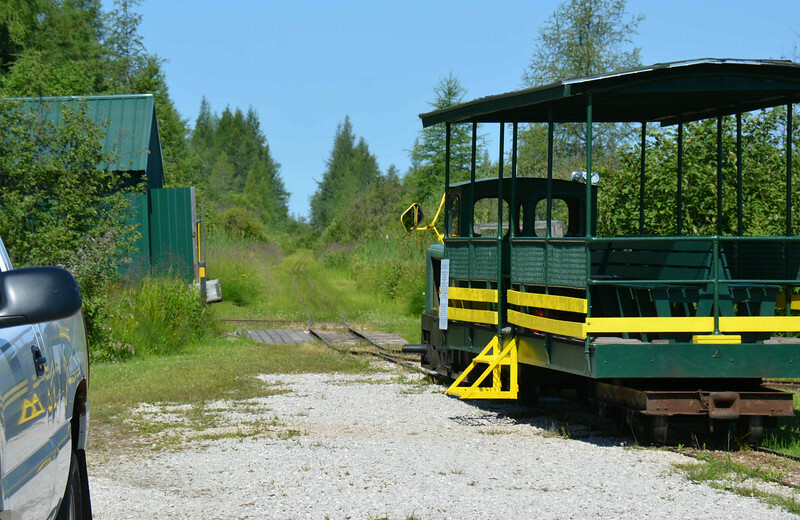 Toonerville Trolley (former logging railroad) History of the line. 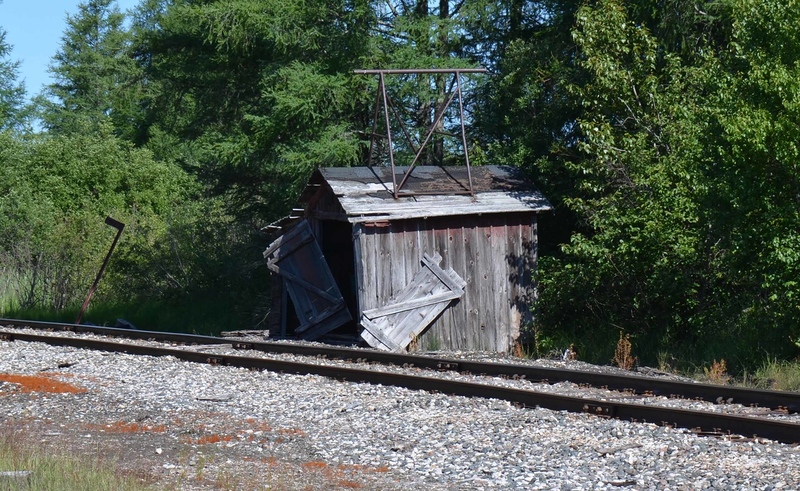 Maintenance Shack on the Soo Line tracks. 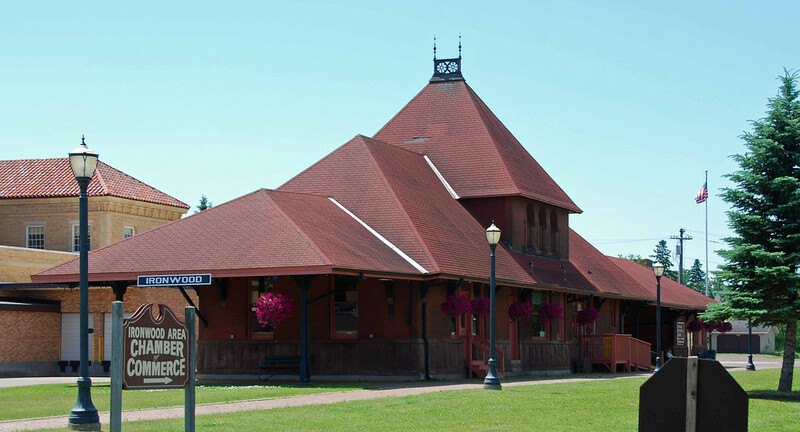 One of the branches from the logging operation in Hulbert met up with the Soo Line here at Soo Junction. 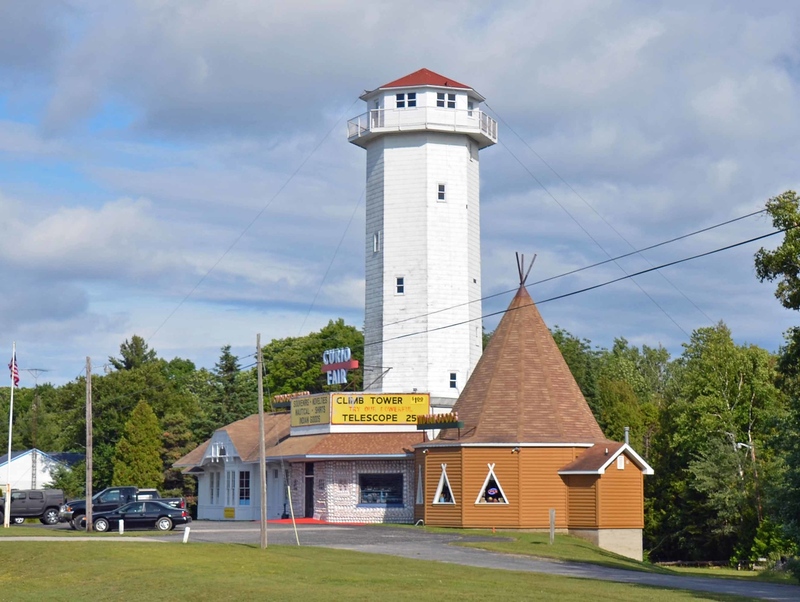 Now, the people from the family of the original guy that was involved with this run a tourist railroad that runs from here over to near Tahquamenon Falls. I asked the owner how he managed track maintenance. He said it was a lot of hard work - especially in the swampy sections. He sometimes has to chop an old tie free of the soil and plants that are holding it. Looks like a wobbly ride. 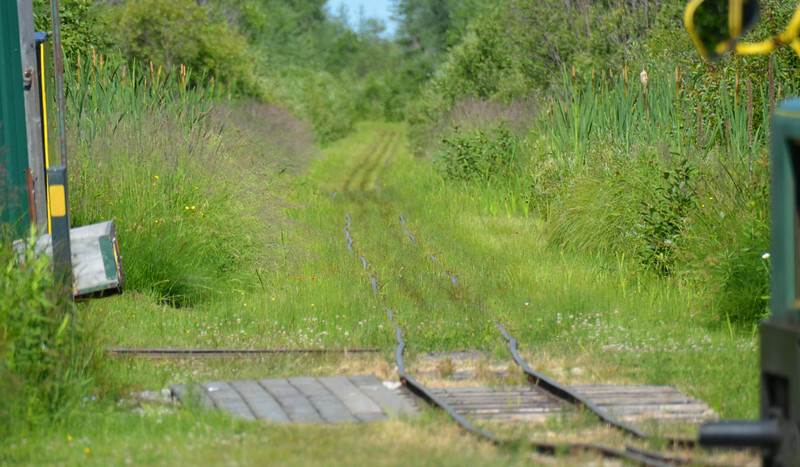 The smaller rails look like they are from the old railroads that first crossed the area. 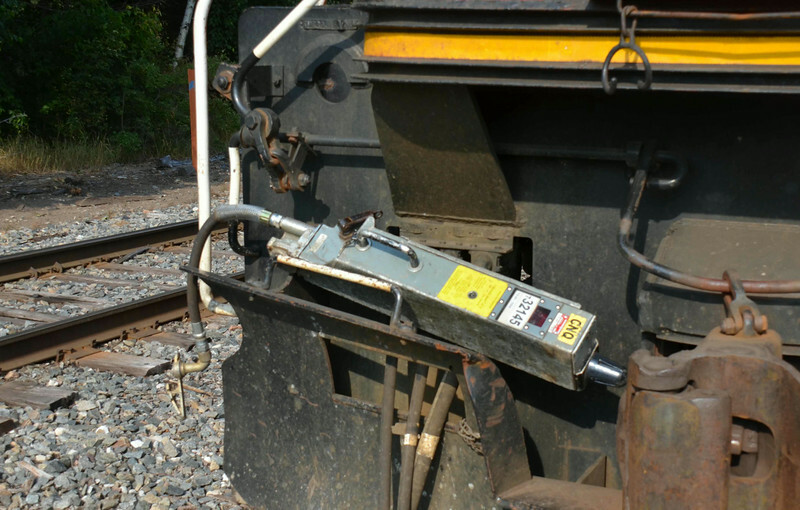 This is an End of Train Device (ETD) which is sometimes called a Flashing Read-End Device (FRED). These are put on the back of a train in lieu of a caboose. There are smart and dumb units. Dumb only flash a light. 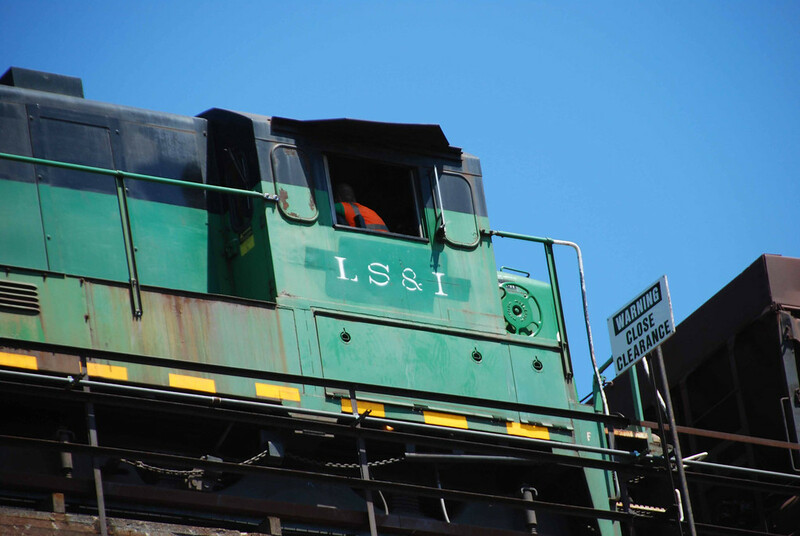 Smart units send data to a device in the locomotive via telemetry. Of course the partner device in the cab (for the FRED) is called a Wilma (ala the Flintstones). These things monitor air pressure and train separation. They can also initiate an emergency lock-up from the rear end. Railfans zoom in on the frequencies for these devices to get early warning (2-5 miles) of a train coming through. As seen from the Canada side of the river. 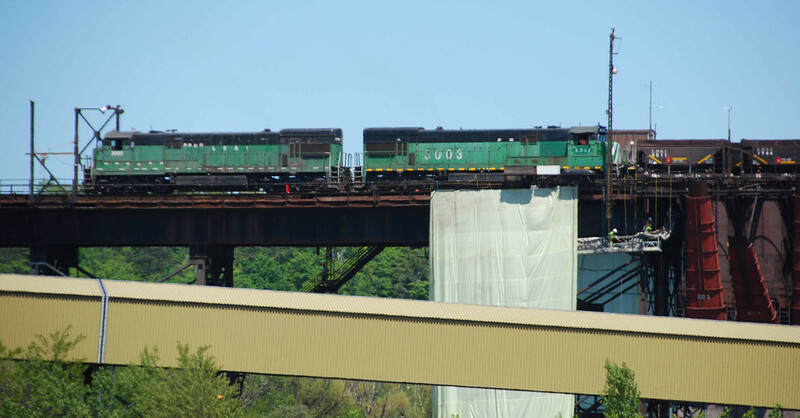 BRIDGE SPAN FALLS WITH TRAIN ENGINE; SHIP TRAFFIC HALTED. 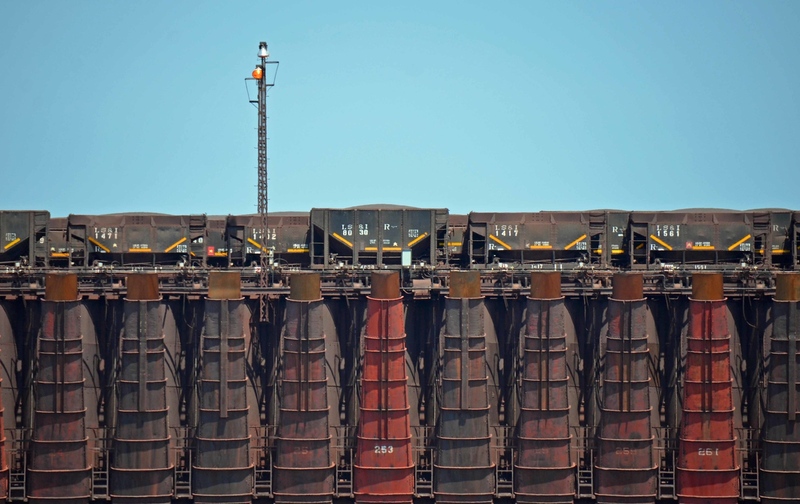 IRON ORE SHIPMENTS SNARLED AT SAULT STE. MARIE; 2 MEN KILLED. Sault Ste. 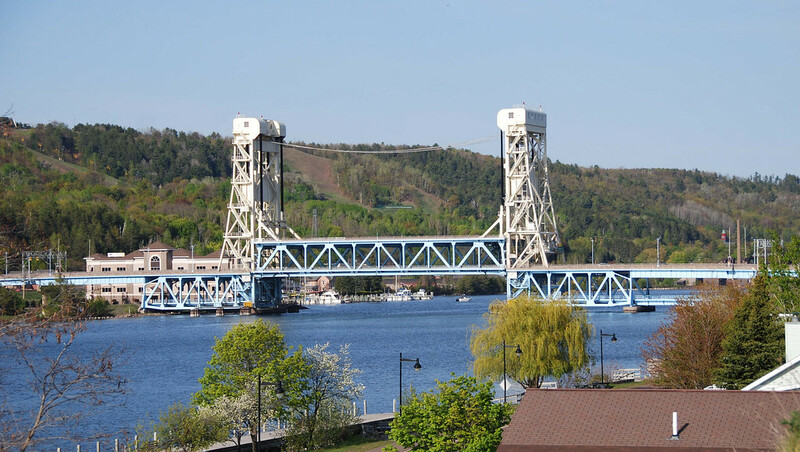 Marie, Mich. -- (AP) -- Collapse of one arm of a lift bridge -- believed to be the largest of the bascule type in the world -- brought defense-vital iron ore shipping from Lake Superior ports to a temporary halt here today. The giant span sagged beneath the weight of a loaded freight train. A locomotive and tender shot from the open end into the approach to the St. Mary's Falls Canal, carrying two trainmen to their deaths and effectively blocking the two largest of the Sault Ste. 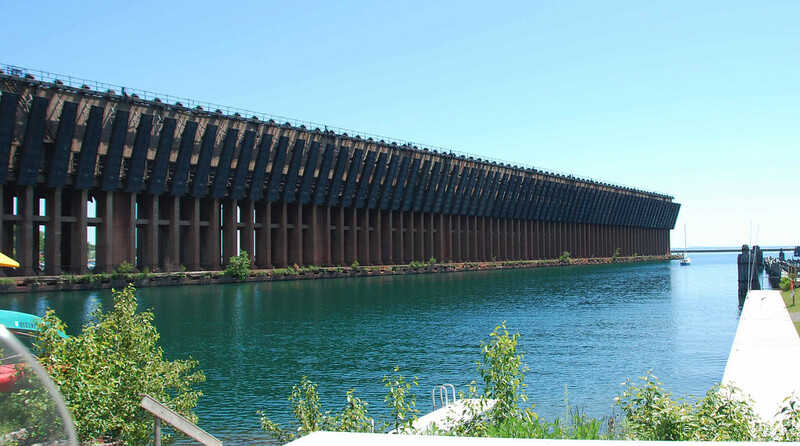 Marie locks which link Lakes Superior and Huron. A wrecking train was summoned immediately, but Lieut. Col. Jules Houghtaling, intelligence officer for the Sault Ste. 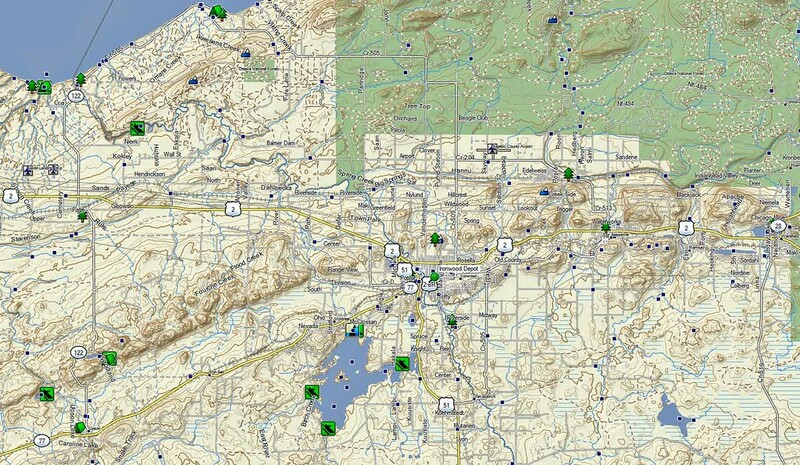 Marie military district, estimated it would be four days before the locks would be sufficiently cleared to provide passage for fully laden ore carriers, which include some of the largest craft that navigate the lakes. Two channels remained open to navigation. They were the Poe locks on the American side and Canadian locks. Military authorities said neither of the open channels, however, provided sufficient draft for fully loaded ore carriers. An emergency order was issued to vessels now loading to limit their draft to 16 feet 6 inches. The normal draft of ore carriers is 17 to 20 feet, loaded. 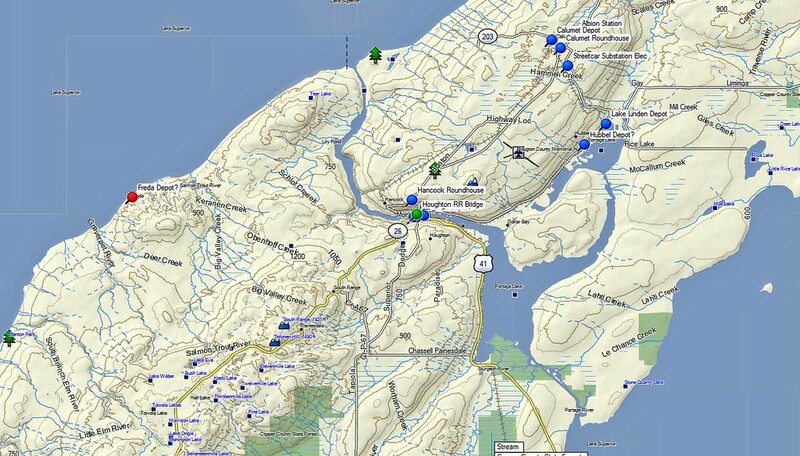 By 10:30 a.m. approximately 25 vessels -- downbound from Lake Superior with cargoes -- were at anchor awaiting passage. 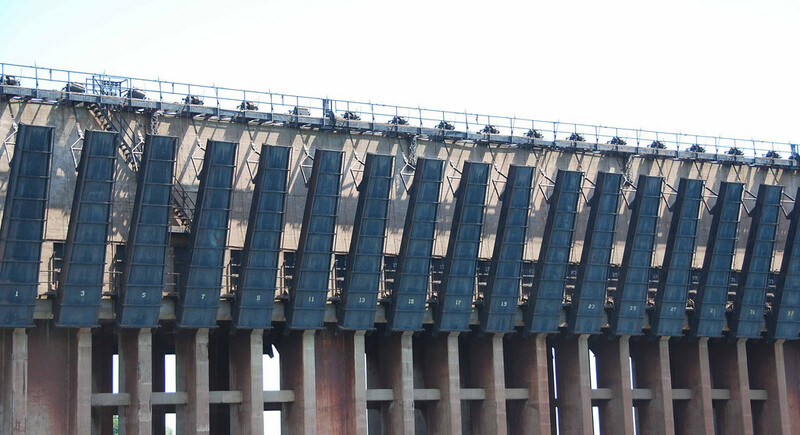 Military authorities said another 50 which took on their loads prior to the bridge's collapse would arrive at the entrance to the canal and locks by midnight tomorrow. Light vessels upbound for cargoes were passing steadily through the smaller locks, which also will accommodate downbound craft loaded after receiving notice of the new cargo restriction. 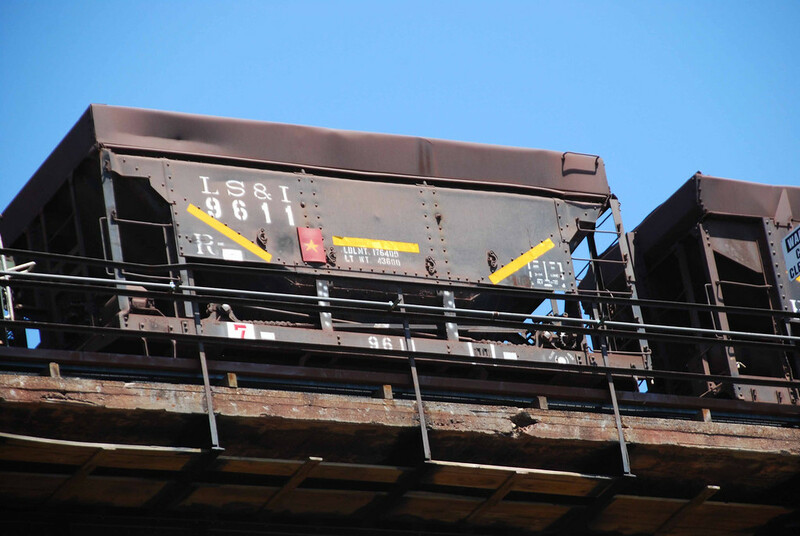 The north leaf of the railroad bridge collapsed into the north section of the canal under the weight of a freight train coming from the Canadian side, according to an official explanation of the accident by J. B. Chadwell, chief administrative assistant in the war department engineer's office. Chadwell said the north section of the St. Mary's Canal, together with the third and fourth locks, were completely blocked to all traffic as a result. The south arm of the bridge, he reported is still intact but is three feet below its normal position. Chadwell said the cause of the bridge collapse was not determined. Col. Fred T. Cruse, commander of the military district, said it appeared to be "purely accidental" and that there seemed to be no reason to suspect sabotage. There had been no similar mishap since the bridge was constructed, about 1914. 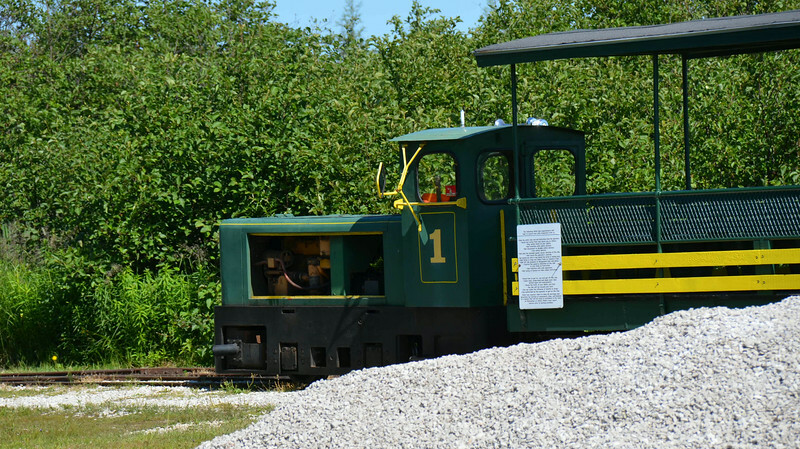 Four men were riding in the locomotive. Engineer HAZEN WILLIS and Conductor DAVE MONROE, trapped in the engine cab, were drowned. Fireman CARL ZELNER and Brakeman FRANCIS FULLER climbed back up the twisted bridge girders to safety. 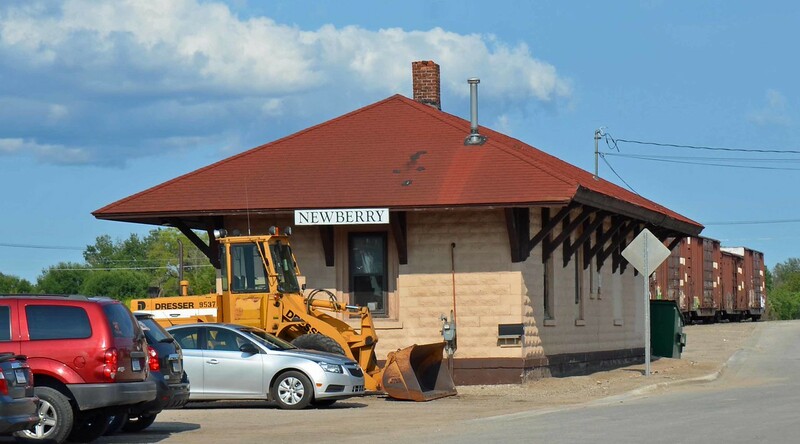 Suspicions of sabotage were discounted by authorities inasmuch as the bridge, which spans a vital canal through which come freighters bearing precious ore from northern Minnesota, has been under guard of Fort Brady troops during the defense emergency. Soldiers at the fort were routed out of barracks and extra guards posted at the bridge which is just above the Great Soo locks. Numerous vessels were forced to anchor in the river for an indefinite period. 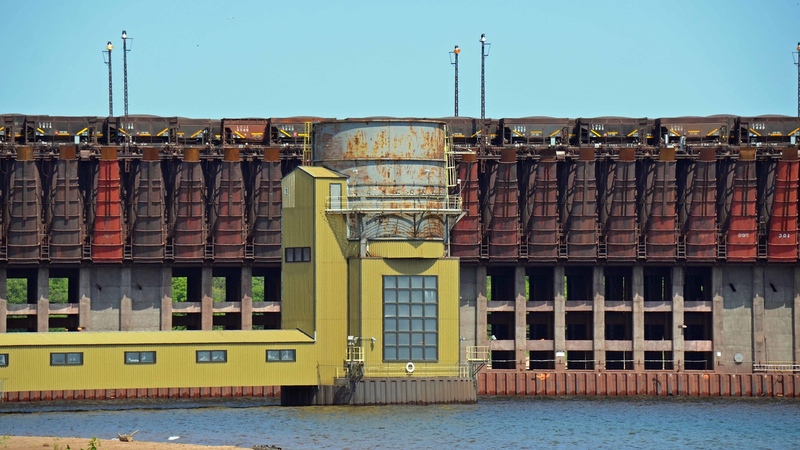 The St. Mary's canal, one of the world's busiest waterways, connects the upper and lower Great Lakes chain and feeds to the steel mills of the east the vast stores of ore from the iron ranges of the north. 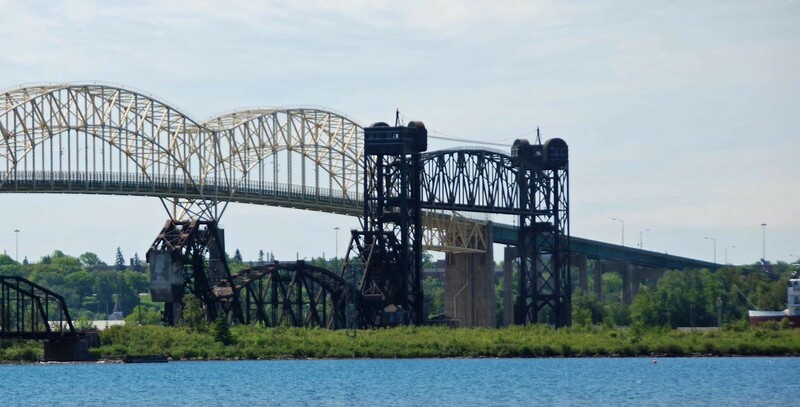 The bridge, while American owned, is operated jointly by the Canadian Pacific and Duluth South Shore and Atlantic railways and the Sault St. Marie Bridge company. It consists of a series of sections resting on concrete piers, with a jackknife drawbridge across the main canal channel. It was the jackknife portion which collapsed. So that's why you started racing Bultaco's?